Jiulian E-commerce Co. is a cross-border online trading platform for imported wine. Though registered in Hong Kong to take advantage of the special administrative region's preferential tax policies, it is actually located in Dalian in northeast China's Liaoning Province. 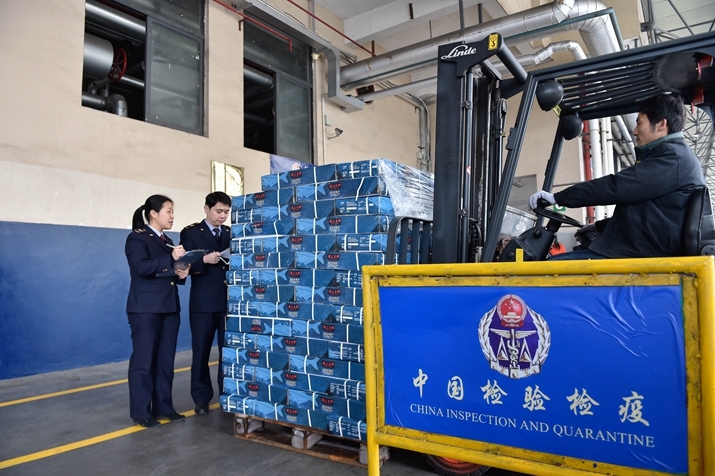 Jiulian's senior executives made inspection tours of the pioneering free trade zones (FTZs) in Shanghai and Tianjin, which offer preferential tax policies, speedier customs clearance and better government services, to look into setting up companies in the zones. So they were thrilled by the news that seven more FTZs have been approved, including one on their home turf, Liaoning. In August, Minister of Commerce Gao Hucheng told Xinhua News Agency that the government had given the go-ahead for FTZs in seven provincial-level regions. Besides Liaoning, the others are Shaanxi in the northwest, Zhejiang in the east, Henan and Hubei in central China, and Sichuan and Chongqing in the southwest. "Now we can stop looking around and wait for detailed policies for the Liaoning FTZ," Yu Ning, Director of Operations at Jiulian, told Beijing Review. "Once our company is eligible for some of these preferential policies, we're definitely going to set up a company inside the Liaoning FTZ." With the seven new FTZs, China's total number of such areas will jump to 11. The government's move to nearly triple the number of FTZs shows the authorities' strong resolve to advance reform and opening up, and will promote the building of the Silk Road Economic Belt and the 21st-Century Maritime Silk Road (Belt and Road), Gao said. The China (Shanghai) Pilot FTZ, the nation's first, was established in September 2013. Following its success, the government decided to expand the institutional innovation. In April, the second group of three FTZs was inaugurated in Tianjin in the north, Guangdong Province in the south, and Fujian Province in the southeast. Designed as a testing ground for economic reforms, an FTZ aims to lower the threshold for business people to establish companies, further open up markets to foreign investment, and reduce restrictions on capital flows. It also offers special benefits to certain industries like e-commerce, legal services and logistics. 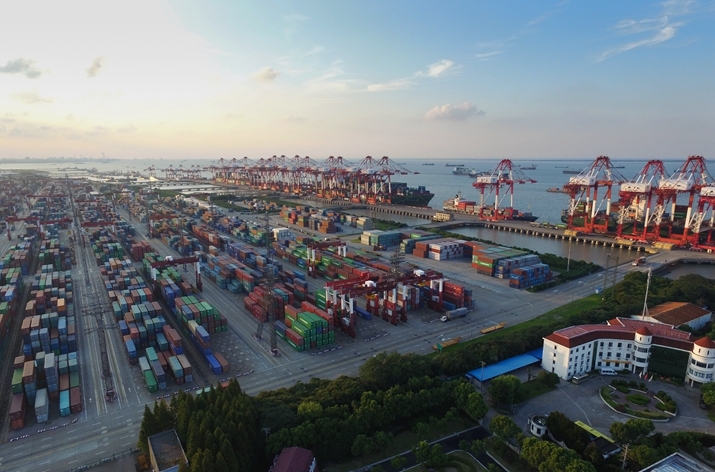 Cao Hongying, Deputy Director of the Shanghai FTZ Management Committee, said that the FTZ has made substantial achievements in four basic areas--foreign investment management, trade facilitation, financial innovation and transformation of government functions. At a seminar on FTZ development in June, Cao said that the Shanghai FTZ will focus on four areas. Its management concepts will be used to improve overall government services to create the most transparent and most efficient government. Second, it will open up to the maximum by using bonded zones as a guide. Third, it will have better interactions with Shanghai's innovation centers. Finally, financial innovation and opening up will be bolstered to build Shanghai into a highly unique international financial hub. One of the biggest achievements of the FTZs has been to make foreign investment in China easier by adopting a negative list that spells out which sectors are closed or restricted for foreign investment. To invest in sectors outside the list, foreign investors do not require government approval and enjoy the same treatment as domestic companies. The negative-list approach was derived from the United States. To date, over 70 countries have adopted this to manage foreign investment, and it has become a trend in investment rules worldwide. The Shanghai FTZ has narrowed its negative list to increase openness and transparency in foreign investment management. The 2014 version of the Shanghai FTZ negative list was pared down to 139 sectors, far fewer than the 190 in the 2013 version. The current negative list of the four Chinese FTZs has 122 sectors, which will be further trimmed. The policy has led to a surge in the number of startups. According to data from the Ministry of Commerce, in the first half of 2016, a total of 4,923 foreign-funded firms were established in the four FTZs, with investments amounting to 359.2 billion yuan ($53.85 billion). Foreign investments in the Shanghai, Guangdong, Tianjin and Fujian FTZs account for 41.3, 75.7, 87.4 and 50.1 percent respectively of the total foreign investments in each city or province. According to a poll by the Development Research Center of the State Council, 82 percent of the firms surveyed reported notable progress in the business environment of those four FTZs, and 95 percent were optimistic about future development. From October 1, the negative-list approach has been used to manage foreign investment across the country. Establishing foreign-funded companies in sectors outside the list only requires registration instead of government approval, marking an end to the approval-based foreign investment management that was followed in China for over 30 years. "Expanding the negative-list approach nationwide means lower thresholds and a larger scope for foreign investment, thereby increasing China's appeal to foreign investors," Xing Houyuan, Deputy Director of the Chinese Academy of International Trade and Economic Cooperation (CAITEC), told Beijing Review. Bai Ming, a research fellow with CAITEC, said that the negative list becoming national will create a positive impact on China's negotiations with the United States and the EU for bilateral investment treaties (BITs). "BIT negotiations are based on the negative list plus pre-establishment national treatment. Only when China adopts such a management approach can it have the foundation to discuss a BIT with other countries," Bai told Beijing Review. "The experience accumulated by the FTZs has paved the way for nationwide adoption of the negative-list approach." Since their establishment, the four current FTZs have had different priorities. Shanghai focuses on financial innovation and hi-tech trade. Tianjin is modernizing its international shipping and logistics services and hi-tech manufacturing. In addition to boosting trade with Taiwan, Fujian is developing finance and tourism. Guangdong is improving trade facilitation and cementing ties with Hong Kong and Macao. The FTZ model has become a new driving force amid the slowing economy. With the addition of seven more, China is hoping to press ahead with wider reforms, while allowing the regions to tap their unique geographical and industrial advantages for further experiments. The seven new FTZs will have different tasks, according to government sources. Liaoning will carry out market-oriented reforms to reinvigorate the old industrial heartland in the northeast. Zhejiang will experiment with trade liberalization and improve its capability in global allocation of commodities. Henan will build itself up into a national transportation and logistics hub for the development of the Belt and Road. Hubei will build hi-tech bases and facilitate the development of the Yangtze River Economic Belt. Chongqing will help further open up the western region and better implement China's western development strategy. Sichuan is to become the growth engine for the less-developed western region and facilitate the opening up of inland regions. Shaanxi will enhance trade links with countries along the Belt and Road routes. Xu Changle, Executive Deputy Director of the Yangtze River Delta Development Research Institute, said that China is opening up both in eastern and western directions. "Previously, the FTZs were set up in the eastern part of China. Now it's time to open up the western region. That's why the more developed Sichuan and Chongqing were selected," Xu told the 21st Century Business Herald, a business newspaper based in Guangzhou, capital city of Guangdong. "In the future, western provinces and autonomous regions such as Yunnan, Guangxi and Xinjiang will also have the chance to be selected as FTZ sites." According to Li Guanghui, another Deputy Director of CAITEC, the third group of FTZs should find their unique strengths in tandem with national development strategies. "They have vastly different geographic features and economic conditions. Therefore, the previous experience won't necessarily apply to them. For instance, Shanghai's experience in building a financial center may be unfeasible in the western region. Different regions should utilize their distinctive local resources," Li told the 21st Century Business Herald. "Their respective strengths should be combined with national development strategies, such as the Belt and Road Initiative, the Yangtze River Economic Belt and the western development program." Since they are pilot projects, Li said that either success or failure is possible. Mao Yanhua, Deputy Director of the Free Trade Research Institute at Guangzhou-based Sun Yat-sen University, pointed out that China's FTZs still have a long way to go to be on par with the high-standard investment and trade rules globally. 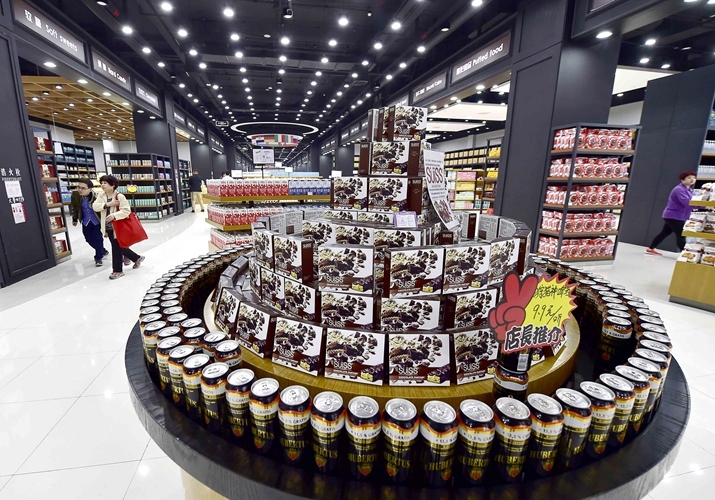 "Although they have attracted a hefty amount of investment, they still have a lot to catch up in terms of investment and trade rules, protection of intellectual property rights and government regulation," Mao told the Shanghai-based Jiefang Daily. According to Mao, the negative-list approach has an awkward legal status in China. It's based only on a regulation issued by the General Office of the State Council, rather than a law, which undermines its effectiveness. "Getting rid of this awkward status is an urgent task facing all FTZs," Mao said.